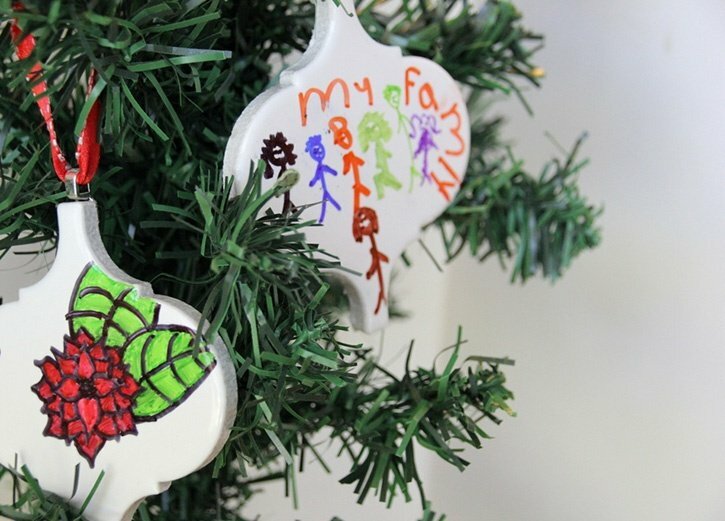 My daughter and I love making our ornaments for the holidays. This year we have a rustic theme decor in my house, so I decided to make some cute winter white ornaments. 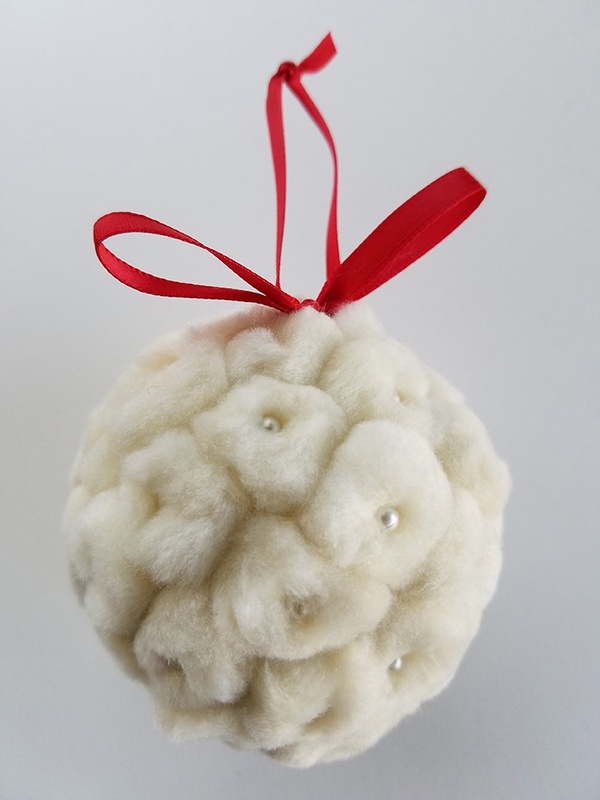 I love the look of winter white pom poms. 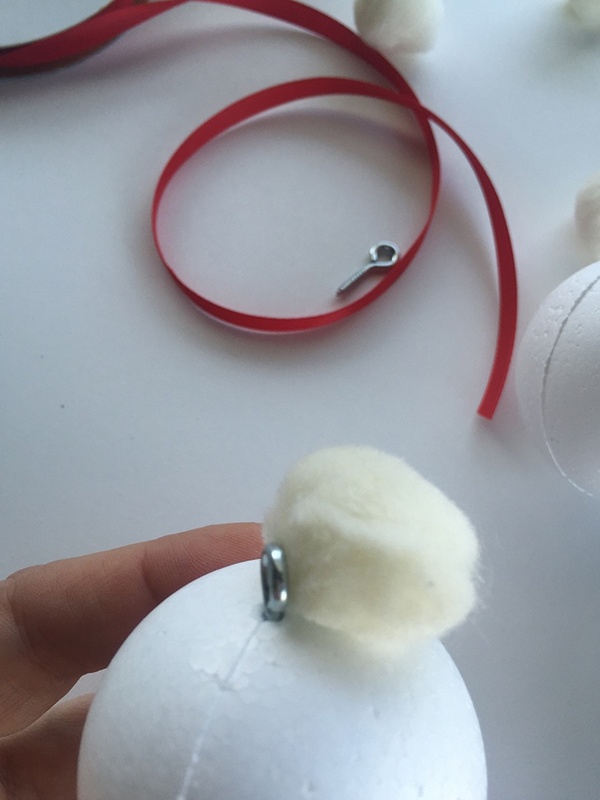 With very few supplies, you can make your own pom pom ornaments. Add eye screw to top of ornament. 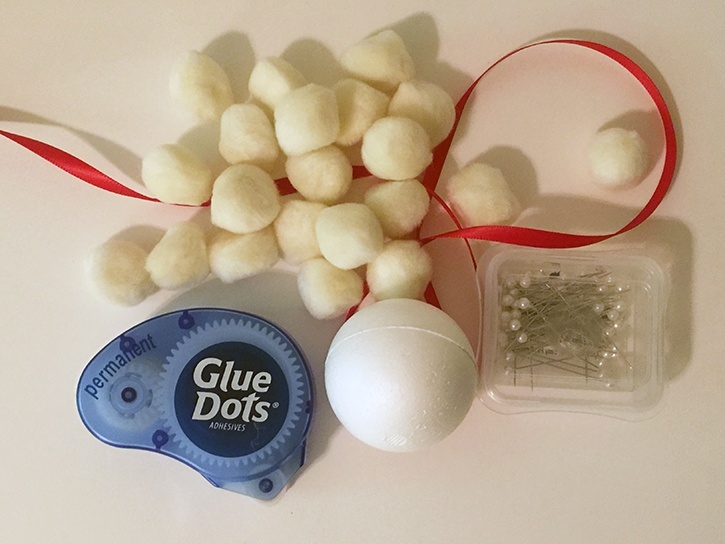 Place a permanent Glue Dot on each pom pom and place on Smoothfoam ball close together until the ball is filled with pom poms. 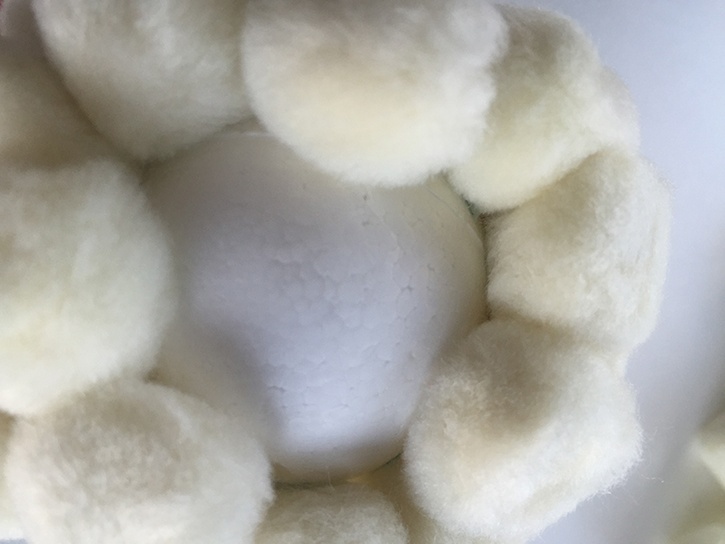 Add pearl straight pin to center of each pom pom. 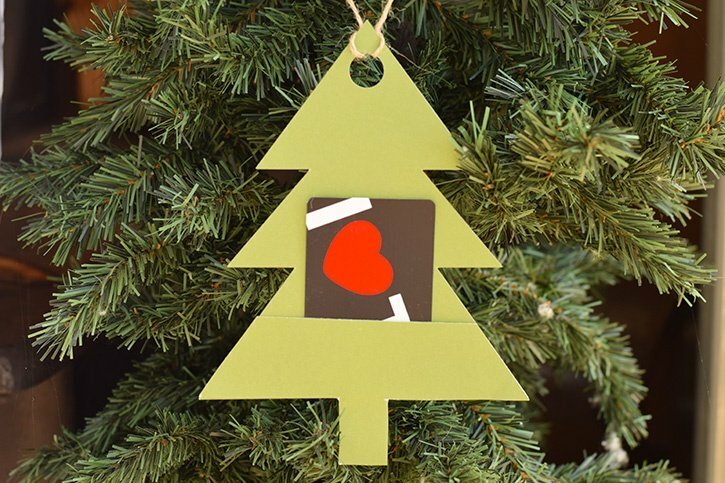 Cut a 9 inch piece of ribbon and tie on the top of the ornament if you would like to hang your ornament on your tree. That’s it! 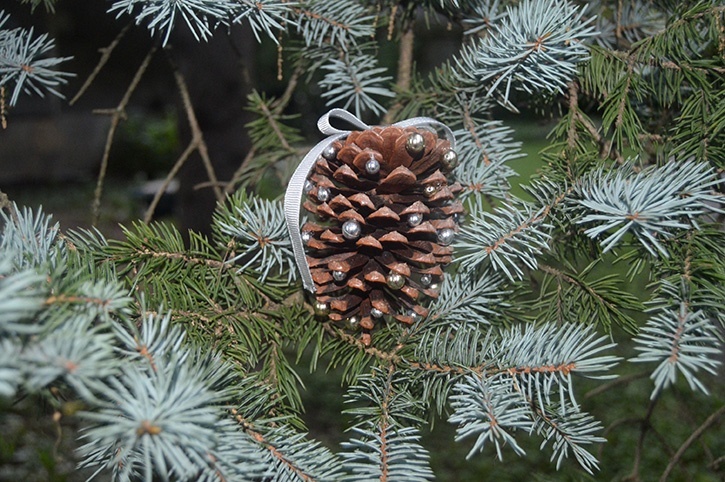 It’ so easy to assemble and it will look so cute either hanging on the tree or as holiday scene decor on a table. Hello! 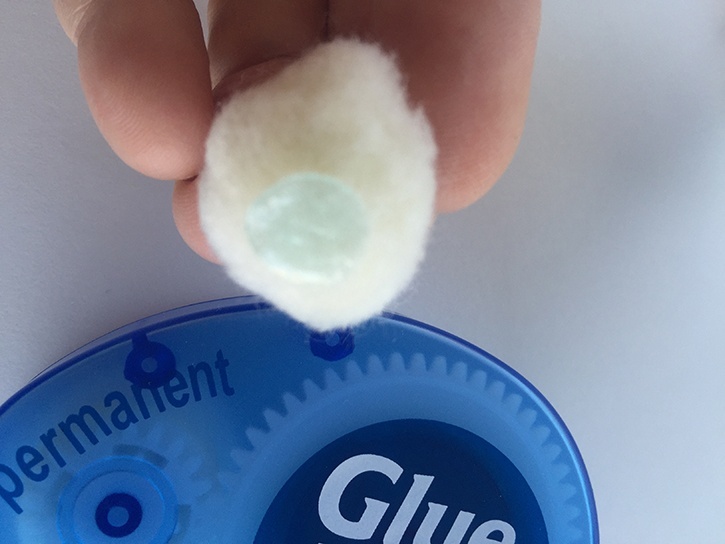 My name is Tammy Santana and I am happy to be a part of the Glue Dots Creative Maker Team. My background is in interior design and product development, however I enjoy creating beautiful home decor and paper crafting projects as my form of relaxation. I have always been creative, love to work in many different areas of design, and enjoy working with different mediums and tools. As a product development consultant, I am constantly challenging myself to try new things and reach outside my comfort zone. I feel so blessed to be able to work in an industry that I love so much. I am active on Instagram, YouTube and Twitter and love it when new readers find my lifestyle blog and my planner blog and give feedback on my posts. I live in beautiful Southern California with my husband of 18 years and our creative 11 yr old daughter.